There comes a time when music becomes so generic that nothing can save it. No matter how beautiful the production, how well the lead singer can croon or snarl, or how catchy the music, the drab nature of the songwriting and implementation of the music overrides all positive qualities. Last year, this was most noticeable in Imagine Dragons' Night Visions, though a lesser version of this strict adherence to formula was also visible in albums like Enei's Machines and Feed Me's Escape From Electric Mountain, among others. No matter how fun and well-produced every song on each of these releases was, there was an overwhelming sameness and stringent following of genre tropes which cancelled out the good in these releases, resulting in three average albums which displayed a frustrating amount of potential. It's always sad to see music like this, when songs are so nice to listen to, yet so damn average at the same time - this phenomenon happens all too often in music, as it always has, and it's very disappointing when it does. Thankfully, Technimatic's Mirror Image EP isn't quite as generic as the music about which the above paragraph complains. Unfortunately, it's just a bit too far into the gray area between refreshingly good and painfully average for this reviewer's liking. Much like the aforementioned albums, the production is absolutely gorgeous. The well-respected British duo has always produced top-notch liquid drum & bass, both during their time as solo producers (Technicolour and Komatic) and during the brief period the two have been together, and this EP is no different from what their fans have probably been expecting. The title track demonstrates this to a T, as twinkling piano lines shimmer over a thumping bassline and pristine female vocals. Really, though, all the tracks here have the stellar production the duo is known for. From the beautiful synth notes of "The Unspoken" to the atmospheric brilliance of "Sheltered Storm," the whole release is a lush drum & bass soundscape, filled to the brim with dazzling chords. Unfortunately, therein lies the problem with Mirror Image. All four tracks stumble into the all-too-common liquid DnB trap of having similar structures and ideas which don't hold up well over the length of a full release. Every main section's main focus is a thundering bassline, and every song has similar vocals, piano chords, and drums. The drums are especially frustrating, as there is absolutely nothing special about them - they may as well have been ripped straight out of any other liquid song around. The synths are all too similar, the effects are all too familiar, and even the basslines seem EQed and utilized exactly the same way through every track. I suppose that enjoying liquid drum & bass is always a struggle like this - finding the subtle beauty in songs that are at least superficially far too alike and appreciating all of the gorgeous elements that go into every song like these. However, as we saw with Naibu's Fall EP, there are ways to skirt around the formulaic nature of the genre and succeed. 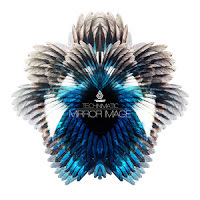 Technimatic, for all the razzle-dazzle their top-notch production shows, have not succeeded in a way that continues to be satisfying even after many listens. Though it's still a good EP (and thankfully not nearly as generic as Night Visions), Mirror Image simply fails to separate itself from all the other liquid out there. It's a bit disappointing, honestly, and it seems reasonable to have expected more from such a young and promising duo as these men. Unfortunately, these expectations were not met, and as a result Mirror Image was a good EP that could have been so much better.